Last few weeks ago, my dad went to bought the mee rebus from Sungai Ara that popular and recommended. I think I have post where is it locate in my blog before. Check for my feeds. Thank you. 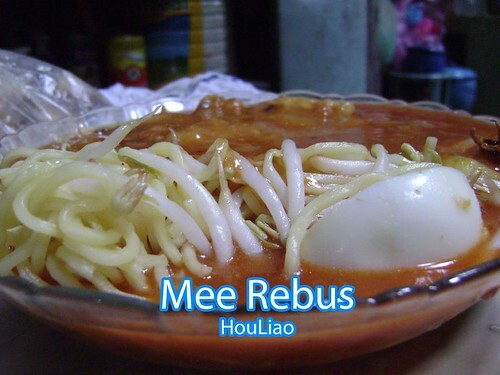 Now I am showing you some shoot of the plate of mee rebus here! The plate of mee rebus we have! I like this shot! LOL. 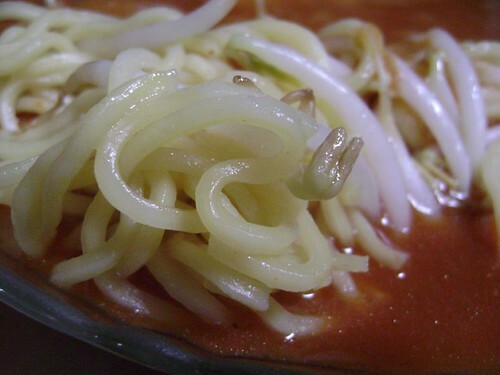 It seems so delicious. Are you hungry now? LOL. Come on and taste it up at Sungai Ara(nearby SJK(C) Chong Cheng). Go go go! It's HouLiao! Oooo....is this the one near the row of houses?